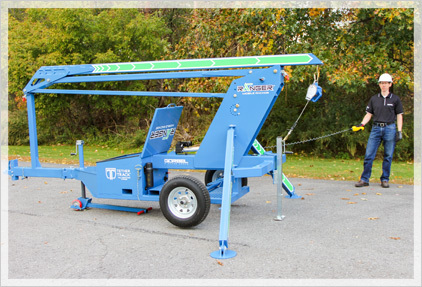 Get mobile fall protection, right where you need it. Gorbel's Fall Protection Systems provide reliable and cost-effective overhead fall protection and reduce the risk of injury in elevated work environments. Choose between our ceiling mounted systems or our free standing systems to find the solution that’s right for your facility. Gorbel’s Ranger Mobile Anchor is the portable fall arrest system you’ve been looking for. This towable fall protection anchor is ideal for maintaining and repairing aircraft, industrial equipment or heavy machinery, or for any elevated application that demands mobility. 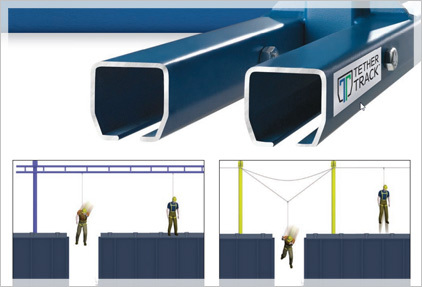 A Rigid Rail Fall Arrest System is safer than a Wire Rope System. Click here to find out why!